Introducing the Las Vegas Dermatology team. Dedicated to keeping you healthy and beautiful. A caring, confident team of medical professionals dedicated to providing our patients with the care and tools necessary for a healthier and more beautiful life, we are proud to introduce ourselves as the Las Vegas Dermatology team. In the professional and welcoming environment of Summerlin Hospital, our expertise shines as we work together to provide the best in care for our patients. Our support team of medical assistants, pharmacy, front office and billing departments provide the structure necessary to run Las Vegas Dermatology with the care and efficiency requisite to a pique patient experience. 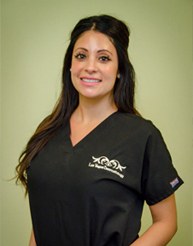 Las Vegas Dermatology provides the latest in standard dermatology care, surgical dermatology and aesthetic treatments. Included among our many services are: Laser Wrinkle Removal, Laser Hair Removal, Laser Blood Vessel Treatments, Laser Facial Rejuvenation, Laser Tattoo Removal Services, Chemical Peels, Microneedling, Microdermabrasion, Juvederm®, Restylane®, Botox®, Dysport®, and Xeomin®. Board Certified Dermatologist, H.L. Greenberg, M.D. founded Las Vegas Dermatology in 2007 with the goal of providing the type of care he would want as a patient, allowing his patients to achieve his goal for a healthier & more beautiful life. A patient advocate, Dr. Greenberg is a caring clinician with a special interest in lasers, cosmetic procedures and psoriasis. Dr. Greenberg is adept at using technology to enhance the integration of medicine and patient care having written articles, given lectures and made multiple videos explaining and demonstrating various aspects of the field of dermatology. Click here to view Dr. H.L. Greenberg’s Bio! Autumn Varis, L.M.E, C.L.T. enjoys providing expert treatments with quick results, such as chemical peels, microdermabrasion, microneedling and laser facials. Autumn has always wanted to work for a dermatologist, knowing that she could make the biggest difference when providing elite skincare to her clients in a medical setting. 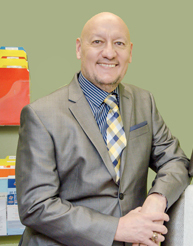 A licensed Physician Assistant for 30 years, Joe Gurule, PA-C, MS graduated from the University of Oklahoma, and has been in dermatology full-time for over 11 years. Prior to finding his calling in dermatology, Mr. Gurule worked in the fields of adult primary care medicine, urgent care, and neurosurgery. However, it was in dermatology, particularly in the care of our veterans, that Mr. Gurule developed a passion for and continued enthusiasm in care of the skin. As adjunct faculty at Touro University in Henderson, and the former President and Secretary for the Nevada Academy of Physician Assistants, Mr. Gurule enjoys teaching and training his colleagues. To this end, PA Gurule has given lectures at national meetings including the American Academy of Physician Assistants and Veteran’s Academy of Physician Assistants in addition to lecturing the entire medical staff at the VA Southern Nevada Healthcare System. He is a member of the Society of Dermatology Physician Assistants. 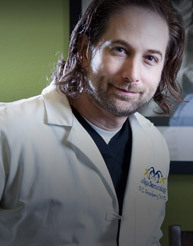 Mr. Gurule enjoys treating the more mature patient, with a special emphasis on treating cancers of the skin. Additionally, he was an early adapter to various laser systems and has been trained in the use of our lasers at Las Vegas Dermatology. As a seasoned practitioner, Mr. Gurule can use his knowledge of internal disease to supplement his diagnosis of diseases of the skin to help in providing you with a healthier and more beautiful life. Mr. Gurule received his Master’s degree from the University of Nebraska in 2002 in Physician Assistant Studies. On a personal note, he enjoys working on his yard, exercising, and watching sports, spending time with family and keeping healthy and environmentally conscious by biking to work. See how our Aesthetician services can further enhance your LV Derm Spa experience at Las Vegas Dermatology. We stand behind our mission of assisting you, in achieving a, “Healthier and More Beautiful Life”, and welcome the opportunity to extend our knowledge, skill, and support to you in the near future.